So happy it's nearing the weekend hours. Much needed!! I thought I'd share some beautiful pink peonies today and a rose cardamon cocktail treat. I forgot to say yesterday, that March also makes me think of MIAMI...just 28 days till I am sitting on the beach with NYC gal pals for one of my bestie's bachlorettes. Can't wait. 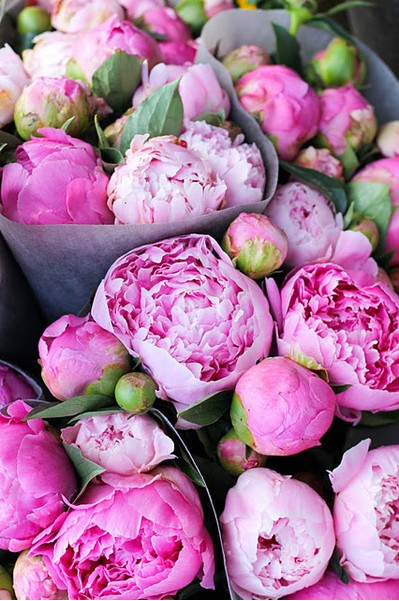 Can't wait to see some peonies at the local flower shop! Happy Friday! Those peonies are beautiful! Just an incredibly vivid color. Have a wonderful Friday, and weekend! I'm going to Miami for a bachelorette in August! You will have to share your fave places. 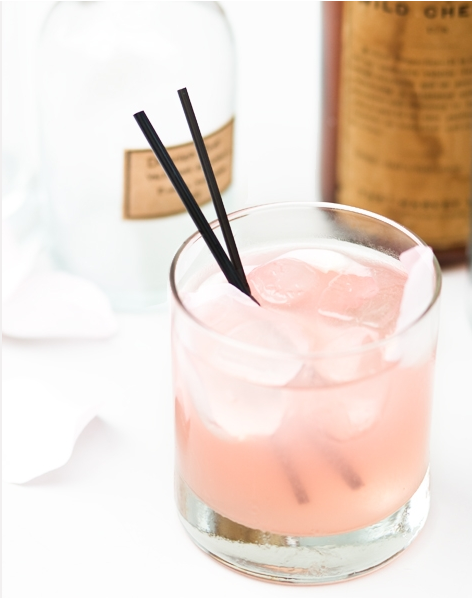 This pink cocktail attracts me like a magnet. I'm adding it to by priority list. Imagine... On a hot and humid Chicago day. Yum.